Is Learning Music The Key To Success? Is Learning Music The Key To Success? Home › benefits › Is Learning Music The Key To Success? We all love music because of the many benefits it offers us. When we are down and out, music can act as a comforting and soothing element. Some listen to love songs as way to deal with emotional pain. Others like to go out dancing and use music to relieve stress and have fun. Even for those with health issues, music can offer many benefits. But, there is also evidence that music can be the key to success. There have been several researches and studies which have linked academic achievement with studying music. The connection between studying music and being more successful has been debated for a while. While some pointed to what they believed to be proof, others shrugged it off as coincidence. However, more evidence seems to prove that studying music can actually be key to being successful. Music serves as a gateway to opening up pathways which would otherwise remain close. Or to expand on those mechanisms and lead the way to creative thinking. Kids who learn to play instruments are more successful than those that do not. Not only socially, but also academically. Music helps people to sharpen many qualities such as collaboration and the ability to listen. It also helps develop a person’s talent which may otherwise be hidden or uncultivated. Recent studies found that many of the people in top positions in the government, companies and other industries, all had one thing in common. Every one of these people had studied music in some form or another. Whether it was playing an instrument or taking other music classes, the results were the same. 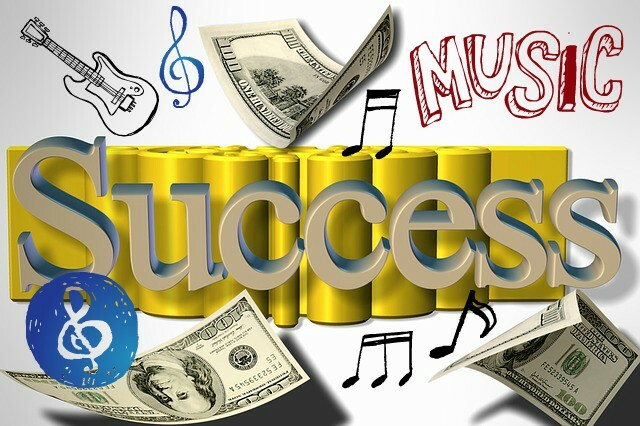 The connection between being successful if you studied music appears to be real. If you go down the list of the most prosperous people in any industry, music always seems to play a role in each person’s life. The co-founder of Microsoft Paul Allen was in a music program at an early age. So was billionaire Bruce Kovner who took classes a Juilliard and is a pianist. The same for the co-founder of Google, Larry Page who played the saxophone while he went to high school. There is also producer Steven Spielberg, who is the son of a pianist, who plays the clarinet. Playing an instrument doesn’t necessarily mean that you will end up as a millionaire or be highly accomplished. However, it appears as though being involved with in music does increase a person’s chances of success. There have already been numerous studies which found that music reinforces an individual’s ability to create. It also helps build their confidence and creativity. Learning to play any musical instrument or being involved with music, can push you into expressing yourself in new ways. No matter which side of the argument you stand on, there is one thing that all must agree on. Music sharpens a person’s creativity, discipline and collaboration. It also helps to reconcile the capacity of conflicting ideas you may have. In addition, music can help you to use your train of thought differently as you process other points of views. We all take pleasure in listening to music as a way to enjoy ourselves. Now, we can also take pleasure in knowing that music can help you be more successful in life.